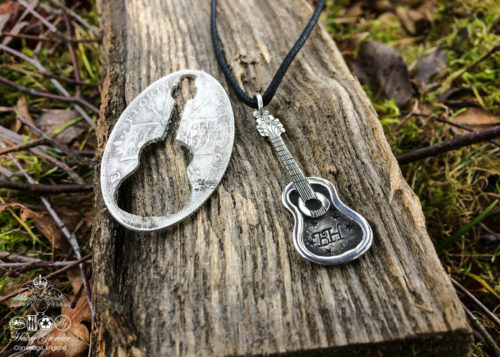 The Randomesque jewellery collection by Hairy Growler Jewellery, Cambridge, UK. 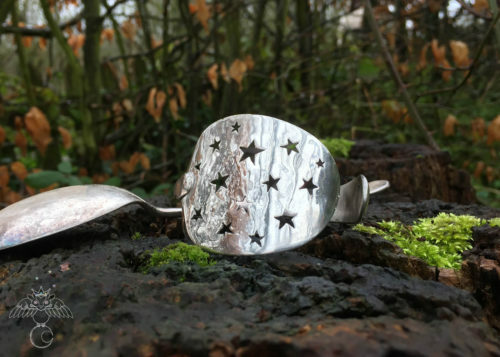 Beautiful star crossed original jewellery created with true green, ethical principles and considerations. 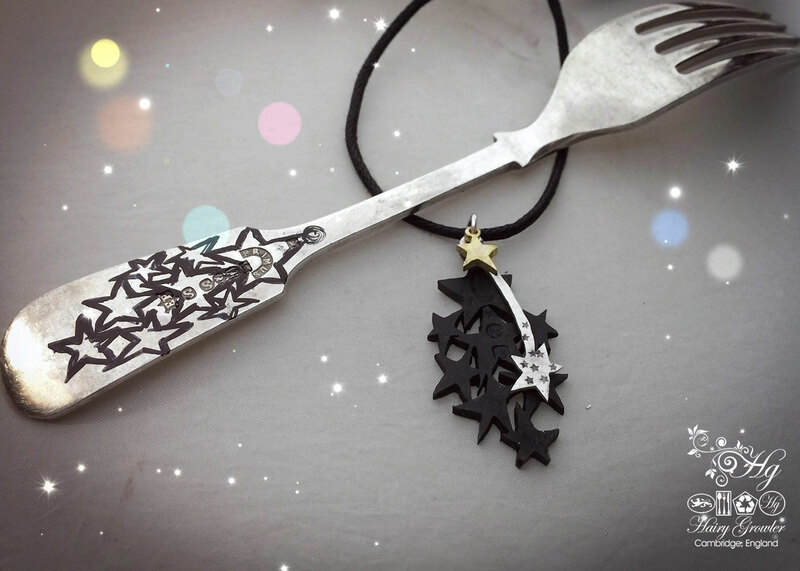 This black ‘star crossed’ pendant is a gorgeous piece of recycled jewellery, comprised of various elements. The main piece being the black stars. 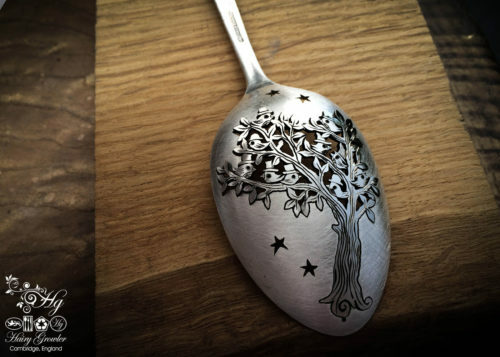 These are hand pierced from a discarded and unwanted vintage fork handle. 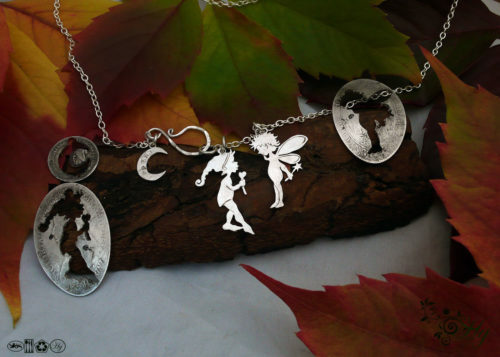 Each one of these pendants I create is different and special. 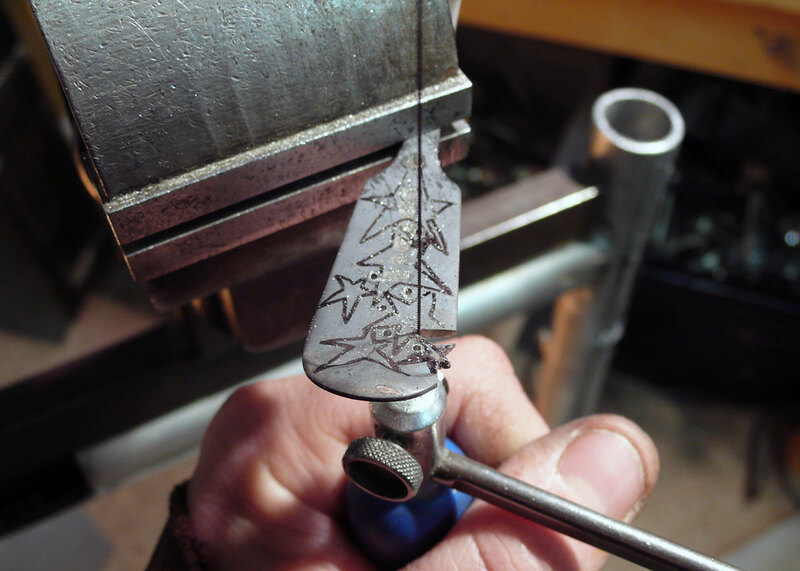 Once it has been cut, its is oxidised and wax sealed. 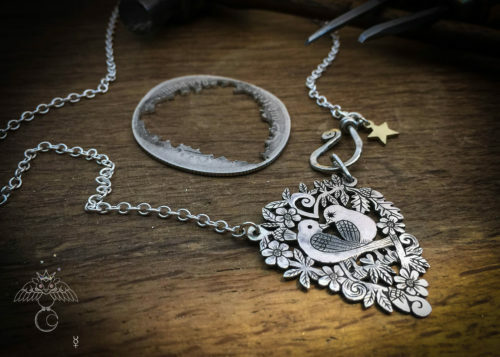 The star and heart cluster is then crafted from old silver shillins and old English pennies. 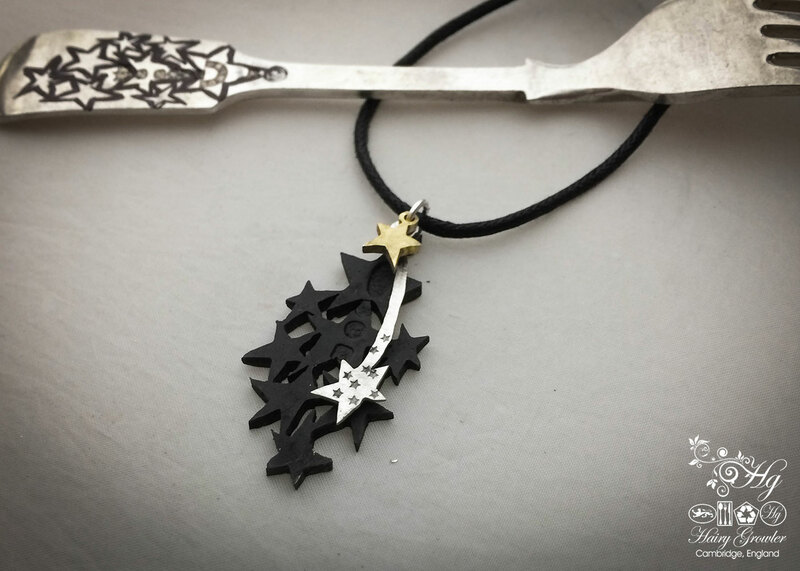 It contrast beautifully with the main black star element and has fabulous movement. 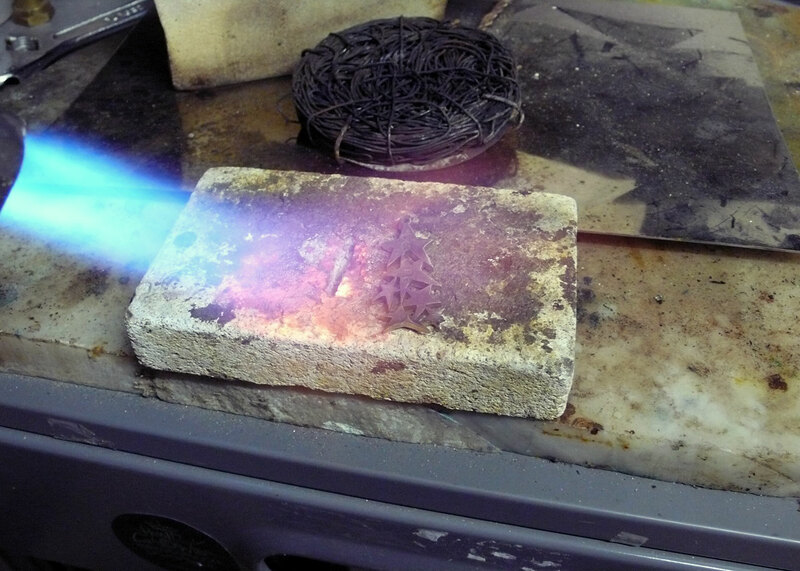 Size : Approx 45 – 50 mm long * 15 – 18 mm max width. You are a shooting star! I love shooting stars and I particularly love the trio if color! Stunning! This was purchased as a gift for my daughter but hasn’t been given to her yet. She will be thrilled at the creative workmanship . It’s a unique pendant that I am sure she will wear often.